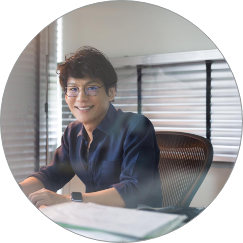 Ookbee started out in 2012 as a start-up in Thailand focusing on developing eBook stores across Southeast Asia with presence in Thailand, Vietnam, Philippines, and Malaysia with more than 5 million customers in the region. Most of the eBooks are from renowed publishers or independent authors who are Professionals, hence the eBooks are categorized as Professionally Generated Contents. When Social Media became more influencial to people’s lifestyle, Ookbee saw an opportunity to create platforms catered to groups of people with common interest such as novel fans, comic lovers, music enthuiast, etc. to accommodate User Generated Contents (UGC) and establish sustainable economy between content creators and their fans. The UGC platforms are later spun off and expanded under Ookbee U which is an entity co-invested by Ookbee and Tencent. Ookbee and Ookbee U together serve more than 10 million users. E-book store with wide selections of free and paid contents including magazines, newspapers, fiction and non-fiction books, audiobooks, and online courses. Community of fans who enjoy latest chat-style novels that can be read and written from Joylada apps or mobile web. Not only the first Chat-style novel in Thailand but the most popular one. Community for comic lovers where artists are free to upload their comics or illustrations for their world-wide fans to enjoy for free or a small price per chapter. Platform that facilitates the interaction between fortune tellers and their clients as well as serving sought-after information related to horoscope. A 1-minute lifestyle video platform from Japan covering topics raging from cooking tips, beauty tips, DIY, etc. Communities for fans of romantic novels to access free and paid chapters uploaded by any writers with environment that promotes easy interaction between writers and their fans. Platform consisting of a website and facebook page where users can share enjoy creating or sharing gags as well as doing funny quizzes. Community of fiction fans where writers are free to upload fictions chapter by chapter and fans can read for free or pay by chapter at a small price. Community for sharing ideas and non-fiction stories where writers and readers can freely upload and read all contents as well as exchanging messages. Communities of music lover where fans can listen to streamed licensed music for free as well as participating in concerts and activities at a small price.